Are you doing enough to protect your business by having secure passwords? And do you have different passwords that can’t easily be traced? Many people use the same password for everything – from their private work accounts, containing a plethora of confidential details, through to their own personal Facebook or social networking account. 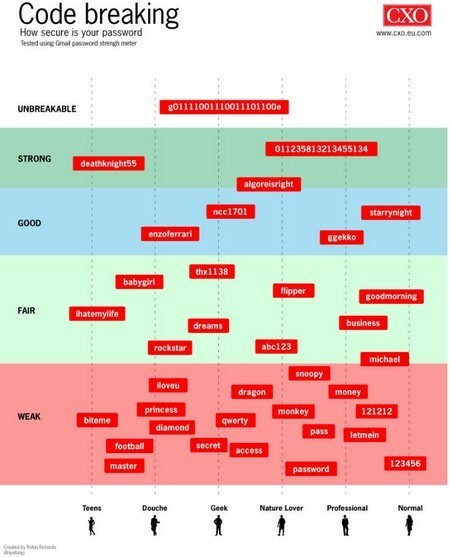 Analysis of the 32 million passwords exposed last month in the breach of social media application developer RockYou – who’s applications can be used on Facebook and Myspace – provides further proof that consumers routinely use easy-to-guess login credentials.